UPDATE 02/19/2016: Here is a copy of a letter from the BORID which outlines exactly what they will be looking for during their office inspections. 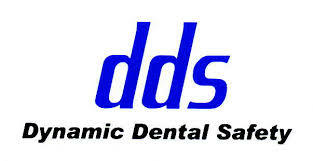 Contact us to get a “mock” inspection done by dds before the Dental Board comes to your office. There are a lot of new changes and updates beginning in the new year. Please be aware that although these inspections for offices that hold sedation permits will be scheduled, your office can still be inspected by the Board for violations at any time. Please contact us to make sure your office is ready for these inspections. The following is an excerpt taking directly from the Massachusetts Dental Board. Beginning January 1, 2016, the Board and the DHPL Office of Public Protection (OPP) will begin scheduled inspections of those dental offices that hold current Permit D-B1 or Permit D-B2 facility permits for the administration of moderate sedation and/or minimal sedation. Please be advised that these inspections will be scheduled for a date and time that is mutually convenient for the permit holders and the OPP dental investigators. Further, the Board will begin these inspections at those dental offices that hold current Permit D-B1 or D-B2 facility permits that were not inspected at the time the permit was initially issued or were inspected several years ago.